Nel Hydrogen Solutions has made a deal with the City of Marlestad in Sweden to build a new hydrogen fuel station. The new station will be located in a high traffic area and will complete the hydrogen network connection amongst Scandinavian capitals. Clean transportation has been growing in popularity throughout the region. Countries are looking to embrace clean vehicles in order to limit emissions production and meet environmental goals established over the past few years. While fuel cell vehicles are still in short supply, the need for a comprehensive hydrogen infrastructure has never been more apparent. Automakers are slowly trickling new fuel cell vehicles into the market, but production of these vehicles is set to accelerate whether or not hydrogen stations become widely available. 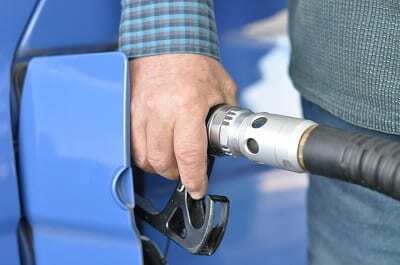 Marlestad intends to have hydrogen stations ready for the arrival of new vehicles in order to ensure their success and add momentum to the growing clean transportation market. Marlestad has been actively pursuing renewable energy and clean technology for some time. The new hydrogen fuel station is a part of the city’s endeavor to become more environmentally friendly. Nel Hydrogen Solutions will be responsible for developing the new hydrogen station and will be providing maintenance for the station once it is operational. The deal between Marlestad and Nel Hydrogen Solutions is valued at more than $1 million. The deal itself is part of the newly launched H2ME 2 project, which aims to expand the European Union’s hydrogen fuel infrastructure. Automakers have been investing in the development of new hydrogen stations in prominent markets throughout Europe. While most of these companies will not be responsible for the stations themselves, automakers have a vested interest in ensuring that these stations take form. Without hydrogen stations, fuel cell vehicles will not be able to find success, making them a wasted investment for automakers. You mean Mariestad and not Marlestad, right ? There is no town known as Marlestad in Sweden.